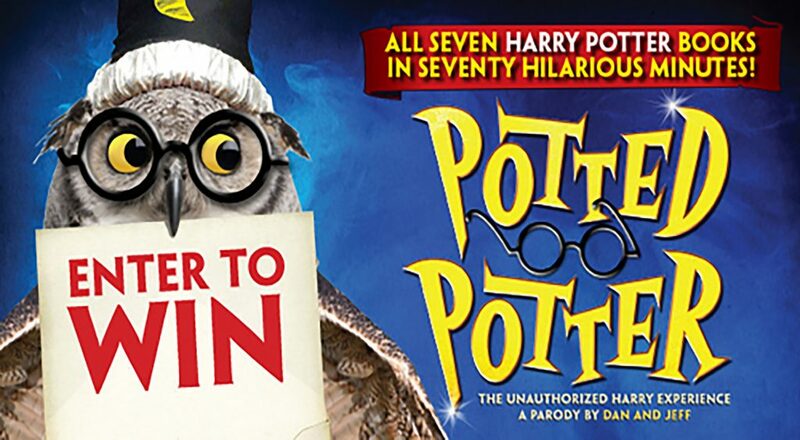 Win a family 4-pack to see POTTED POTTER – The Unauthorized Harry Experience at Texas Theater and watch as all seven Harry Potter books (and a real life game of Quidditch) are condensed into seventy hilarious minutes. Even if you don’t know the difference between a horcrux and a Hufflepuff, POTTED POTTER will make you roar with laughter. Family 4-pack is valid for Potted Potter on Friday, December 7th at 7:30 p.m. The Contest begins at 12:01 AM Pacific Time (“PT”) on Thursday, November 1, 2018 and ends at 11:59 PM PT on Friday, November 30, 2018 (“Entry Period”)—Any entries received after the Entry Period will not be eligible for judging.